These up-and-coming birdie-machines are easy to root for. Not just because they can split fairways and sink putts and post the sort of scores that most of us can only dream of. Because, as Alberta Golf’s coaches and support staff can attest, the provincial programs are stocked with top-notch characters, too. 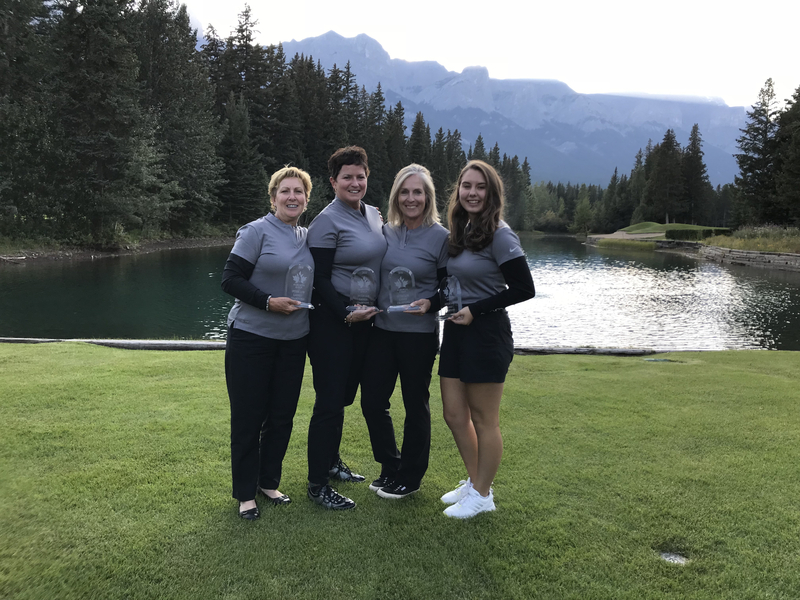 “Anybody who knows the game and loves the game knows that there’s more to it than just hitting a ball,” said Jennifer Davison, Alberta Golf’s director of high performance and sport development. 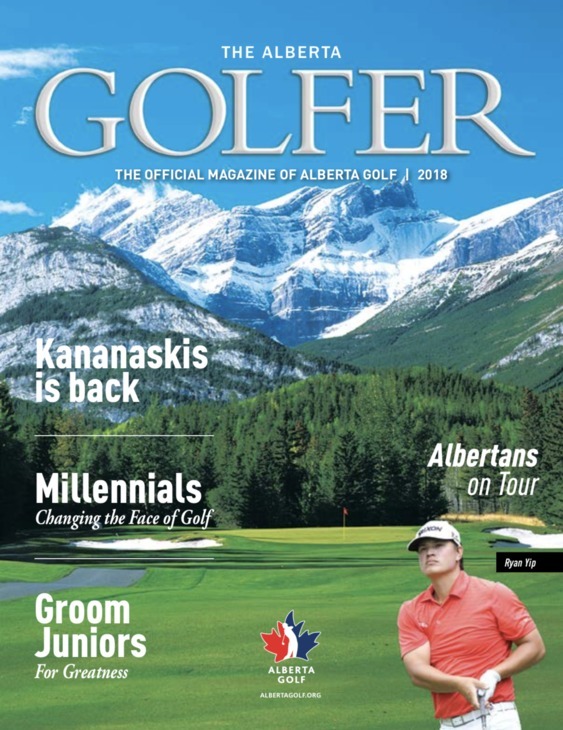 “There’s etiquette, interactions with your competitors, interactions with rules officials… And I think Albertans can definitely be proud of the kids and young adults that are on this list and representing and wearing that Alberta Golf logo proudly. The best part is, there’s more of them than ever before. For 2018, they offered 20 spots on that roster, extending invites to a dozen males and eight females. If you’ve followed the leaderboards at the Alberta Junior or Alberta Amateur Championships, you will recognize all the names. In the past, golfers graduated from the provincial program after aging out at 19. Thanks to the creation of the high-performance squad, support is now being offered a cast of talented 20-somethings, most with experience digging divots at the post-secondary level and many with hopes of one day earning their paycheques on the professional tours. “We want to continue those relationships. We don’t want to lose them,” said Team Alberta head coach Randy Robb. “We’re trying to keep them involved. Hopefully they can help mentor some of the younger kids, playing with them a little bit. And hopefully we can support them at some of the bigger events — the Alberta Open, the Glencoe Invitational, the Canadian Amateurs. It seems they’re keen to help. Calgary’s Matt Williams figures he was 14 when he was first invited to tee off with Team Alberta. Not quite a decade later, he is a soon-to-be senior on the men’s golf squad at the University of Houston. The Cougars count some of the biggest names in the sport — Fred Couples, Steve Elkington, etc. — among their alumni. Williams was one of the originals on Alberta Golf’s high-performance squad last year. He has more company this summer. “I love being around the juniors and seeing them climb up the ranks, because I totally remember being there when I was their age,” said Williams, who finished in a tie for eighth — tops among Albertans and fourth among Canucks — at the 2017 Canadian Men’s Amateur Championship. “I definitely remember when guys would come back and help out, and I thought it was the coolest thing in the world. I was like, ‘This guy plays golf in college?! ?’ I thought that was just the coolest thing. So to grow up in it and still be a part of the program and be able to give back, it’s pretty special. In the Under-19 provincial programs, a bunch of boys and girls are trying to follow that same path. That group will meet for training camps throughout the season. There are lots of swings and short-game work during those get-togethers, but it’s not all about beating balls on the range or practising your touch around the greens. They focus too on fitness, on nutrition, on goal-setting and pursuit of post-secondary opportunities. 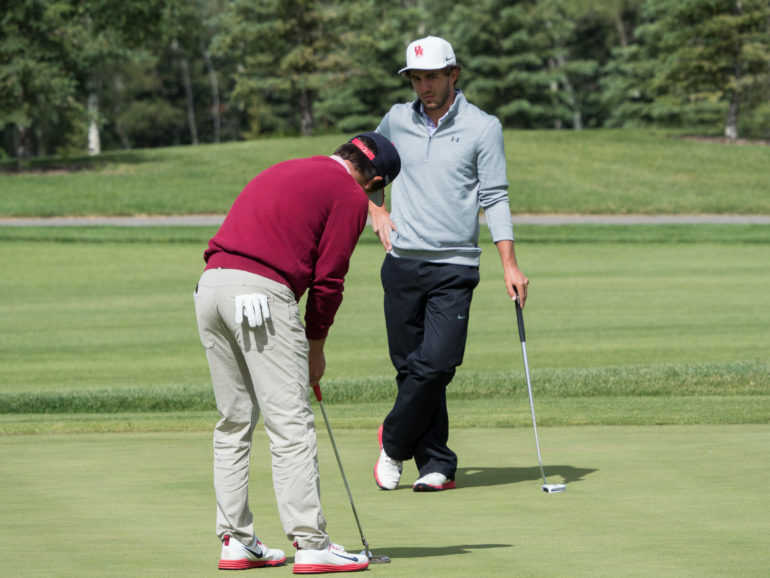 More evidence of the widespread reach of Alberta Golf’s development programs? A tidy stack of pick-me-please applications on Davison’s desk. In the past, Alberta Golf selected the provincial teams based primarily on the Order of Merit standings from the previous season. For the first time, there was an application process for Tier 2 and Tier 3 hopefuls this winter. Ask any of the members of the high-performance squad, and you can immediately tell that they would recommend the experience to any smooth-swinging youngster. “For me, as a girl, being a part of Team Alberta really helped bring me together with other juniors and expose me to different competition, more competition,” said Calgary’s Sabrine Garrison, who celebrated a one-stroke victory at the 2017 Sun Life Financial Alberta Ladies Amateur Championship at Red Deer Golf & Country Club. Garrison just completed her senior season with the women’s golf program at the University of Minnesota. At the same time, she was applying for medical school. Her dream is to be a family-practice doctor. Many of her teammates on Alberta Golf’s high-performance squad, meanwhile, are dreaming of stardom on the PGA or LPGA Tours. If you eventually spot them on the biggest stage, take it from us — these Alberta-bred birdie-machines are easy to root for.